The latest statistics on the socioeconomic status of Russians, published by Rosstat, are quite contradictory. On the one hand, real incomes of citizens in July grew by 2% in annual terms. In general, in January-July of 2018 the growth of this indicator was 2.6%. Moreover, in annual terms, Russian real wages in July rose by 8%. On the other hand, compared with June, in July real disposable incomes of Russians decreased by 4.7%, while real wages fell by 7.3%. 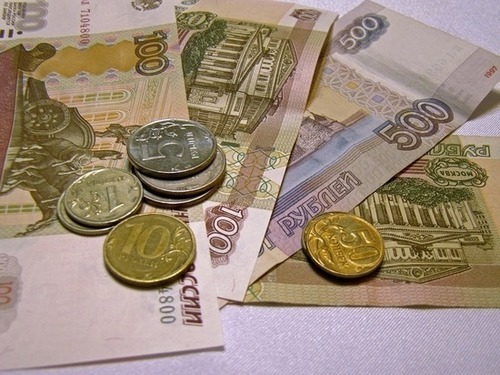 According to Rosstat, the average monthly salary of Russians in July exceeded 42 thousand rubles. On average, per capita in nominal terms, Russians’ incomes also increased – in annual terms they increased by more than 5% – to 32.3 thousand rubles. Meanwhile, this statistics is ambiguous. It shows little evidence of an increase in the financial well-being of Russians. If you compare the July nominal income with the June, they decreased by 3.4%. Real incomes – nominal incomes minus compulsory payments and adjusted for inflation – fell by 4.7%, and real wages – by 7.3%. And the movement in this direction turns into a trend. As Anna Bodrova , senior analyst at Alpari, notes , in May 2018, the working-age population of the country earned about 10% less than in April. “The only surge of unrestrained optimism over the past year and a half was in January 2017, when growth was 8.2%. Then the authorities paid pensioners for 5 thousand rubles as part of the equalization of the pension indexation strategy. Then the buying power was revived, retail sales: pensioners quickly spent additional funds. Already in the next month, everyone returned to the usual rhythm of life, “- says the expert. According to Bodrovoy, the slow growth of salaries (Rosstat estimates only official salaries, and wages of the “gray sector”, according to observers, fall) in the country quickly consumes personal inflation. Prices for gasoline in April-May increased by 10-13%. This immediately affected the purchasing power for the worse. With an official consumer price index of 4.2% per annum, personal inflation – which is felt by the citizens themselves – is estimated by the Central Bank at 10-12%, and sometimes even higher. “Potemkin villages – so you can characterize the general attitude of the authorities to the income of the population. The income level has been falling since 2014. Significantly, nothing changes in this respect today, “Bodrova said. “Apparently, real incomes will continue to fall. They, first of all, depend on inflation, and this figure may exceed the limits of 4%, indicated by the government – due to the increase in VAT and the weakening of the ruble. In addition, companies in Russia are rather nervous about the bad geopolitical news. This can also slow the growth of salaries, “believes financial analyst FxPro Alexander Kuptsekevich .